Zack Furness, author of One Less Car, talks about the growth of biking to work and how to get started as a commuter yourself. This May marks the 54th celebration of National Bike Month in the United States and with it, the annual keystone event known as Bike-to-Work Day. Hundreds of thousands of participants ranging from seasoned urban cyclists to first-time riders will take to the streets on May 21st in a mass display of pedal power that reflects a broader change in the way that Americans are starting to think about transportation. While biking to work is still something of an anomaly in the US, the sheer number of people who are getting turned on to the environmental, economic and health benefits of bicycle transportation is staggering, particularly when one considers the tremendous roles that automobiles and driving play in American culture. Dozens of cities dotting the landscape between Portland, Oregon and Portland, Maine have seen their numbers of bike commuters double, and in some cases triple, in the last decade. The persistent advocacy work of national organizations like the League of American Bicyclists and the success of locally organized events like Bike-to-Work Day are part of the reason why adult bicyclists are becoming more commonplace in both big cities and small towns throughout the country. But there are a number of other factors at work that range from the most pragmatic to the most political. One the one hand, people who try their hand bike commuting quickly realize that it is dramatically cheaper than driving. Depending on where one lives, the total amount saved on gas, insurance, parking, maintenance, and car payments can be up to $10,000 a year. In addition, one of the things that often surprises new bike commuters is that biking can even be quicker than other forms of transportation, especially when one accounts for traffic. For example, bicyclists routinely beat drivers and transit riders in annual ‘commuter contests’ staged in Boston and New York City, and TV viewers witnessed a similar outcome when the hosts of the Today Show conducted their own version of the NYC race on their May 14th broadcast. While these potential advantages are alluring to the everyday commuter, there is also a growing number of people who are getting interested in bike commuting as a response to the threats posed by global warming and our country’s collective reliance on both automobiles and oil. The notion that ‘what’s good for GM is good for America’ is wearing thin amongst a sizeable cross section of the population, and this skepticism is undoubtedly compounded by the epic oil disaster currently unfolding in the Gulf of Mexico. Put simply, citizens are quickly realizing—by way of transportation—that the personal is very political. Biking to work is certainly not an option for everyone, but there are millions of people for whom the bicycle can be both a useful and enjoyable tool for getting back and forth from work each day. Like anything else, it takes some practice and knowledge in order to get the hang of it. The slew of bike blogs and commuter-specific websites make it easier than ever to find out information about biking to work, or simply getting used to bicycling for transportation. But the best thing to do is to talk to bike commuters in your town. Ask random questions to the guy with his bike on the train, or to the lady who is riding with her kids in tow. Talk to the people at your local bike shop or the folks who run your local bike advocacy group. Find out some basic rules of the road as well as tips that will make it easier to get started. But most importantly, don’t be afraid to give a try. Q: You state that the tide is beginning to turn regarding how we see fathers and how fathers seem themselves. What social, cultural and political forces have fomented this change? A: One of the biggest drivers of change has been economics. It’s now a well established norm that American women have careers. One of the headlines of the current economic downturn has been “Women Surpass Men in the Workforce.” In 1950, a man could reject kids, cleaning, and housework by saying “I work hard all day in the salt mine and I deserve to be able to relax when I get home!” The answer today is, “We’re both out toiling in the salt mines. How about if tonight you make dinner and we take turns relaxing?” On the socio-cultural side, of course, the Women’s Movement has been the driving force—we might date the modern, egalitarian push to the publication of The Feminine Mystique in 1963 (the year after I was born). Q: You talk specifically about parenting, and how parents are represented in media. Why look at the film, television, and advertising for codes and cues for fatherhood? A: Judith Butler has written a lot about gender (and sexuality) as a performance. In certain key ways, family is a performance and one that we learn. Most often and most deeply, you would expect that we learn how to “do family” from our families as we grow up. But given what contemporary America is like, given the prevalence of divorce, of blended families, of immigrant families, of regional and cultural differences within the country, our own families are often not a good enough “school” for us. So we look elsewhere—to the families of our spouses or friends, to political, cultural or religious groups, and to popular culture representations of families. In some ways, popular culture is terribly inaccurate in the way that it represents who we are and how we behave. But it provides us some interesting puzzle pieces, some broken mirror shards, some fun house chrome that reflects us in potentially useful ways. And, sometimes, of course, it is accurate. Sometimes we see ourselves very clearly reflected in ads, in movies, on TV. Sometimes that’s good and sometimes it’s sobering—and it can be a good conversation starter. Q: Where did you find the real-life families you use as interview subjects in MEN CAN, and what was your criteria for selecting them? A: I wanted both a range of families—people living in different situations, in different parts of the country; some ethnic, racial, and political diversity—and also a set of families that I felt would help tell the story of the changing family from a variety of angles. The first family I look at—the father became the stay-at-home parent in the 1970s; his son-in-law became the stay-at-home parent almost three decades later—had very strong progressive motivations. The last family I profile is quite conservative. I think that contrast is both instructive and important. It’s easy to paint—sometimes to smear—stay-at-home fathers with a broad brush. But it’s not accurate. Q: You parse the language of fatherhood/parenting. Why are gendered and gender neutral terms so important in talking about parenting? A: The classic example isn’t even gendered: “My husband doesn’t help enough in the house, and especially with the kids.” You can pull that phrase out of a lot of divorce documents; dissatisfaction with who-does-what at home is high on the list of what breaks up marriages. But why use the word “help” there? What does that mean? Often, I would argue, what it means is many women want men to do more childcare, do more housework, but to do these things as we are instructed to do them: we should act like “the help.” I’m open to any kind of mutually consensual domestic arrangement that people find functional and useful. There are women who see the home as their sphere of control and there are men who agree with that. In those situations, for men to be “put to work” under the supervision of women may work without a hitch. In more egalitarian households, however, and especially when it comes to how we deal with children, that model is “internally inconsistent.” Women can’t say to men, “you have the same domestic responsibilities that we have” and match that to ‘you never get these things right—gimme the baby!” A little too much push-pull. All of which, for me, comes back to the word “help.” Unpacking language lets us see what we’re doing—when we might not have been aware of what we were doing—and helps us begin to change. Q: What is your family like—you write about your relationship with your daughter, but what about your wife? How does she interact with you and parenting? A: I’m always something between leery of and put off by people who go into long, sappy dissertations about how wonderful their spouses are. But, both because of the amount of time we’ve been together (since around 1985) and because of the amount of time I’ve spent analyzing family and gender issues, I have certainly become more and more appreciative of how lucky I am in my own marriage. We have had in our favor the fact that we knew, from very early on, that both of us wanted to be active parents; she knew that I wanted to spend at least some time as the stay-at-home parent. So that’s not something that we stumbled into. But the key thing my wife has done is to balance her own needs and feelings with my needs and feelings (and our daughters needs and feelings) and to balance short term issues against long term issues. In the first couple of years of our daughter’s life, for example, my wife saw me do things as a parent that were anything from “not the way she would do them” to “things she thought were mistakes.” But she realized early on that if her response was to intervene and correct, she would get short term satisfaction but, longer term, burden herself as the indispensible parent. Q: You write in your introduction about getting Mobil Oil to install changing tables in the men’s rooms at rest stops on the Merritt Parkway. How did you become such an activist? A: My first grade teacher had this story about me telling the class about Cesar Chavez and the United Farmworkers and how, the following weekend, when she went to the local grocery store, there I was, six or seven years old, handing out leaflets about boycotting grapes and lettuce. That said, I guess I think of myself less as an activist than as a critical person. I grew up asking Why? And that’s something my family encouraged—just as I encourage this tendency in my daughter. Frankly, I’m also something of an irritable person; I have that chronic, pebble-in-your-shoe, This is Not Right! feeling. I try to channel that in directions that are constructive rather than just persnickety. When I had to change my daughter’s diaper—repeatedly—on the back seat of the car, with the door open, in the snow, knowing that the rest stop women’s room a few feet away had a changing table and that the men’s room didn’t, I certainly felt that this was unjust, that it was a gross failure to provide “equal facilities.” But, from a purely functional perspective, I was cold, and my daughter was cold, and a changing table wasn’t a cause for me, it was a necessity. Q: Your book is a call to action of sorts for families—how can families find function in the observations and recommendations you present in your book? A: I would point to three main things: First, in the same way that people “outing themselves” has done a lot to move the gay civil rights movement forward, I think people need to be more open and publically vocal about how our families really work. I particularly bridle at the use of the phrase “Women’s Issues” to describe family issues; that’s one of the great contaminants in our political discourse. We need more men who are able and willing to stand up for children’s issues. Second, both for adults and for children, it’s important that we become more analytical about gender and family representations. I’m not in favor of censorship and I’m irritated by political correctness, but I’m happy that my daughter can point to a bumbling father in a movie and identify him as the classic Doofus Dad caricature. Finally, and again, both for children and adults, we need more open discussion within families about the roles that we are choosing or the roles that we are forging for ourselves. Most of the college students I encounter, when I teach Gender Studies seminars have no real idea of how they are going to balance work and family. It isn’t that there is one model or that talking about these things is easy, fast, and neat. But we need to talk about these things more. I hope I’ve provided a variety of ways into those conversations. Q: Much of what you say in the book about parenting are things women have known—and been doing—for years. Do you think women can learn something from reading MEN CAN? A: I’m beginning to see women acknowledge, talk about, wrestle, and come to terms with the nuances (and some of the pitfalls) of either sharing parenting or being the primary breadwinner. I think, for a lot of women, these sorts of changes initially seemed like unalloyed goods. I think both of those things are good. But they can be hard too. Some women are starting to acknowledge feeling intruded upon in the domestic sphere. Do you want help or do you want sharing? Either is fine, but it takes some negotiating. Some women revel in their growing economic power. Others are beginning to suffer the same pangs that male heads of households have felt. My job is eating all the time I used to have for my family! The pressure of being the main source of income is crushing! Can I really respect a man who stays home and does the domestic work? Isn’t that kind of. . . unmanly, even lazy? I hope that my book will help spark and open up some of those conversations. It’s a complicated domestic landscape and we’ve lost some of the traditional peg points we’ve had to hold things in place. That’s confusing and sometimes difficult. But freedom is a good problem to have. 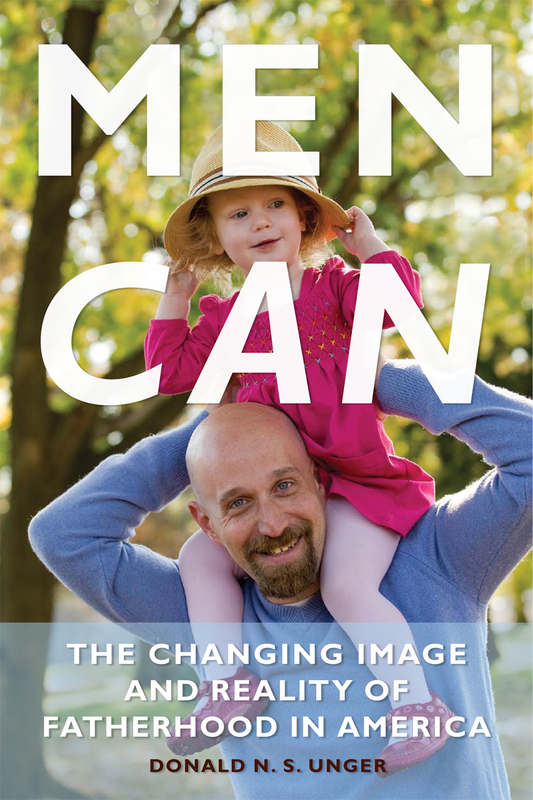 Men Can: The Changing Image and Reality of Fatherhood in America is available now from Temple University Press. In this blog entry, John D. Fairfield, author of The Public and Its Possibilities addresses the topical issue of public heath care. In the forty years after the legislative triumphs of the civil rights movement and President Lyndon Johnson’s Great Society, Americans lost faith in public initiatives. In what has been called the second Gilded Age, we viewed government as, by nature, wasteful, corrupt, and dangerous. Trusting only to private self-interest, we shunned civic obligations and social responsibilities. The market presumably answered to all difficulties — voucher systems to supplant public education, private retirement accounts instead of social security, and for-profit hospitals rather than national health insurance. But in the last decade, market fundamentalism has begun to wane. Polls show that since 1999 the percentage of Americans who acknowledged a broad range of necessary functions for government topped sixty percent and continues to rise. During the 2008 presidential campaign, the blind faith in laissez-faire began to yield to a renewed interest in public initiative. The election of President Barack Obama suggested that leaders willing to ask Americans to participate in something larger than themselves might produce a political realignment on the basis of civic renewal. As if on cue, President Barack Obama appealed to the American people during his inaugural address in just such terms. “Our challenges may be new,” but the civic virtues which have served as the “quiet force of progress throughout our history,” the president explained, “these things are old.” “What is required of us now,” Obama concluded, “is a new era of responsibility — a recognition, on the part of every American, that we have duties to ourselves, our nation, and the world, duties that we do not grudgingly accept but rather seize gladly. As I argue in The Public and Its Possibilities, this tension between the individual and the community is central to American history, played out in the competing claims of private and public. But previous generations have managed a better balance than we have. Inheriting a legacy of public schools, parks, and libraries, transit, water, and sewer systems, facilities for public health and safety, as well as roads, tunnels, and bridges, we have failed to preserve this legacy, much less add to it. 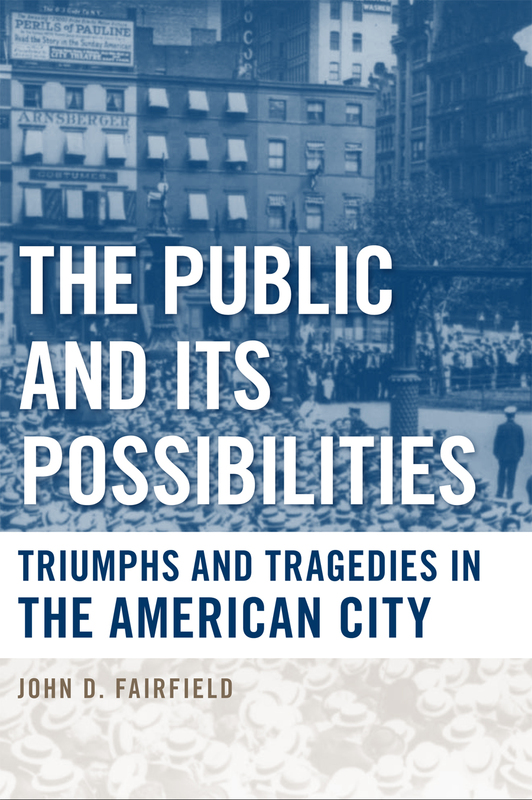 It may surprise Americans to learn that at the turn of the twentieth century our cities enjoyed an array of public services unsurpassed anywhere in the world, state-of-the-art facilities and services that enriched the daily lives of millions. The celebrated American standard of living owed as much to these public initiatives as to private interests. So did our longer life expectancies, which are almost wholly the result of the public health investments at the turn of the twentieth century. This is what makes the recent health care bill the most important public initiative since the 1960s, something which can enhance the security and quality of millions of American lives. Yet, for all its virtues, the new law still treats health as a market commodity, rather than a public good that is a product of our common environment. While we spend billions to extend the lives of the terminally ill, public health expenditures that save both lives and dollars continue to decline in both absolute terms and as a proportion of total spending on health care (one percent in 1992 and declining ever since). So while we celebrate the expansion of private health care to millions of Americans, we might pause to consider the balance between the vast expense of the private health care system and our neglected public health facilities. Both civic responsibility and common sense demand that we launch new initiatives for monitoring the purity of air, water, and food, controlling infectious diseases, regulating the chemicals and pharmaceuticals that enter our bodies, and preventing bio-terrorism. On such initiatives, millions of lives depend. Public initiatives can also be the occasion for revitalizing our democracy. But they will require a political movement that is both democratic and participatory, for they will have to take on both concentrated economic power and popular habits and attitudes. Public health initiatives, such as the federal legislation that arose from Upton Sinclair’s 1906 expose of the meat-packing industry, The Jungle, have always arisen from the grassroots and challenged entrenched interests. Public health must go hand-in-hand with a healthy public as we create the economy and the culture our democratic aspirations demand.